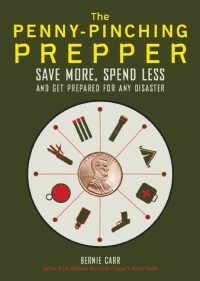 Today we are featuring Jim Cobb’s latest book The Prepper’s Complete Book of Disaster Readiness. Jim Cobb runs DisasterPrepConsultants.com, and SurvivalWeekly.com. 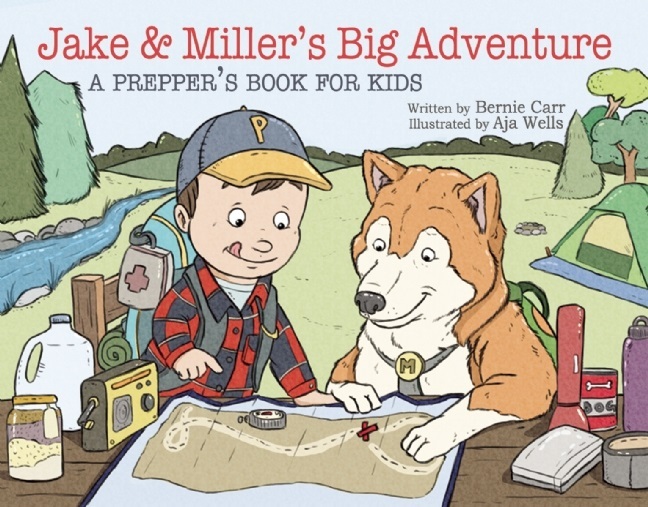 He is also the author of Prepper’s Home Defense. Clearly, he knows and lives the prepping lifestyle so I thought it would be great to do an interview with Jim and find out his thoughts about urban prepping. collapse, you are certainly prepared for lesser emergencies. their country cousins, need to learn how to develop a “gray man” approach. least do nothing to stand out from the crowd. proximity to others facing an apartment dweller? Naturally, in any sort of apartment or condo, space is at a premium. can serve as an end table or coffee table, with few being the wiser. 4. Please tell us a bit about your background. prevention and preventing workplace violence. *why* people prep, as long as they do it. book speaks to the extreme long-term crises and how to prepare for them. the book version of a project I ran on SurvivalWeekly.com back in 2012.
preorder through Amazon and other booksellers. Our thanks to Jim Cobb participating in our Book Feature and for his thoughtful answers! What aspect of disaster readiness are you most concerned about and why? The winner* will be chosen at a random “Pick a Giveaway Winner” drawing on Saturday, February 22nd at 8 pm Central. *Winner will be notified via email. Winner must reply to email notification within 48 hours or another winner will be drawn. Because I have preexisting conditions I am most concerned with the medical aspects of prepping and how to deal with it both short and long term. I am most concerned about a physical or cyber attack on the power grid.In November 2013 the United States, Canada, and Mexico conducted a huge exercise involving thousands of utility workers, government agencies, anti terrorism experts, FBI agents,and more than 150 private businesses. You can watch the National Geographic special American Blackout on you tube to get a good idea of what will happen. Since I lost my job at the beginning of the year, being able to continue to prepare on a much reduced income is my primary concern. While I can continue to make small purchases, and gain knowledge, some of the ‘larger’ ideas I had (including moving further out) have been put on hold indefinitely. I want to do more homesteading but where I live, the best I can do is continue to garden each growing season and learn to can/preserve my produce (I SO wanted to get a dehydrator). TY for the interview with Mr. Cobb, and for this giveaway! I’m sorry you lost your job, I hope you will find another one. I am most concerned about home defense. We are just beginning the prepping process on a very tight budget. Additionally, we are in a metro area with no chance of moving rural anytime soon. When the shtf how to deal with the people who have not prepared will probably be the biggest issue. Not looking like a prepared person and how to get out and blend in will be an issue also. Good article and looks like a good book. Hmmm….great question. I think that I’m most concerned about home and self-defense when SHTF. I include law and government enforcers in that concern i.e., what happened during Katrina. Two important items I have been thinking about an Emp attack or Civil Unrest. I live near the a large city and I think it will be difficult. I would have to say that my biggest concern is the execution phase of any disaster planning. Making plans is easy, but actually do it is another. How many of us have actually done what we plan on doing? Have you gone through plan A – D and all the what ifs. I know I haven’t, I have started walking 2 hrs a day to get ready in case I have to walk. I’m most worried about my youngest son being locked-in at school and my not being able to get to him. The aspect I am most concerned with is the ability of my preparations to hold up after the disaster occurs. I live in Tornado alley and while I have a decent start (better than my co-workers who think I’m slightly crazy), if a tornado where to directly hit my house I’d be SOL. I have a shelter but can only store so much of our supplies down there along with my family. If the disaster isn’t a tornado, my concern switches to food supply. The wife keeps me on a tight budget for preps, and I feel I am lacking in the food storage dept.